One of the most popular articles on our site is How Many Systems Can I Run Adobe CS6 On? That covers Adobe’s single user rules for their standard off-the-shelf retail software purchased for home or home office use. But how about for the rest of the world – for groups, teams, businesses, studios, companies, schools, and other organizations? What if you need an open license to run Creative Suite 6 (or other products) concurrently with multi-users on a number of computers on your network? Fortunately Adobe has an answer for this that makes sense – that’s easy and saves time with reduced maintenance via simple license management across your site… Why shuffle and keep track of individual serial numbers between different machines? Why worry about whether your software needs to run on a PC or a Mac? You can purchase however many licenses you need online with a credit card or PayPal, immediately without any paperwork or signature contracts to deal with. You receive a single serial number for your entire group that you can freely switch between your computers, including between PC/Windows and Apple/Mac. The actual software is completely the same as the standard versions, and you can add additional users at any time while keeping the same single serial key. There are no restrictions as to who can use the software or when, so long as the total number of licensed users doesn’t exceed the number of seats purchased. And it costs no more than normal on Adobe.com, plus you can still download the software online for free (and/or receive the CD/DVD media via mail). You can also convert a free CS6 trial to a permanent business license without reinstallation. Adobe has one other name for this site licensing plan – it’s also called the Transactional Licensing Program (TLP). That’s because the benefits are available for individual transactions (with no mini­mum order size), rather than needing contracts, signatures, and membership as with their other “Open Options” offering, the Cumulative Licensing Program (CLP, which is used by larger organizations with higher ordering thresholds). Note Adobe also has separate versions of these two programs for education, where customers at educa­tional institutions like schools, universities and colleges can receive academic discounts together with the flexibility of running the software on as many computers as needed. Once you get your software, you can use Adobe’s straightforward Licensing Web Site (LWS) to easily track and manage licenses, which simplifies software administration and streamlines recordkeeping and legal compliance. Just like with Adobe’s off-the-shelf software, these volume licenses are transferrable or resellable to other entities, if such need arises. Similarly, you can run each license on up to two computers (office and home/portable), so long as the second copy of the software is used solely for the benefit and business of the licensee, and the two copies are not used at the same time. Ordinarily, it takes some effort to switch CS6 between platforms. But all volume licenses here are cross-platform and you can run them on whichever system you want, Windows or Mac OS or both. Adobe no longer offers older versions via retail, but if you need CS5.5 instead you can still get it by ordering CS6 and then downloading a prior version (or “downgrading”) – see the Backward Licensing Policy. Read more about this in our related story on how to buy older Adobe software. If you need to set up a flexible or floating license scheme across a network of computers for concurrent use, that may be possible as well for some customers (with CLP). If you are currently running individual boxed Adobe products and would like to move from shrinkwrapped software to one of these volume licenses, Adobe will also offer a credit against past qualifying purchases. So whether you’re private, commercial, education, or government, this is something to consider from several advantageous angles. Geographically it’s available world­wide in the US/Canada, Europe/UK, Asia, Australia/NZ, and Africa – just go to the Adobe Store Selector and select your country, and then “Business Store.” That’s all there is to it – you can buy and down­load (or ship) your volume-licensed product with your local currency and address… or get an Instant Quote for the products you’re interested in. Footnote: If you’re interested in the Creative Cloud tools and services, then Adobe reportedly will offer a Creative Cloud Team Edition later this year, which will have similar features to the volume/business licenses described above, but be on a term-based membership (annual or monthly subscrip­tion basis) instead. How to tell – is the Creative Cloud right for you? Our office has two individual CS5.5 licensing on two machines. We are interested in pricing for CS6 for several machines within the building to replace that program. What is the first step? Hey there Lindsay, Adobe has just announced their new “CC” release to follow CS6, and generally are recommending Creative Cloud for Teams for smaller numbers of licenses like in your office. However, you can still purchase CS6 if you want, and get an upgrade quote based on that if you prefer. Does that answer all your questions? If not, then just post back. I am teaching at a secondary school in Zimbabwe and am interested in the most cost effective way to purchase group licensing for our school for the Creative Suite. We currently have it installed on numerous Macs at the school but would like to install it on the students’ personal computers (Mac/Windows) so that they can work on it both at home and at school. Is the group licensing for a limited number of computers? Can we uninstall the program on a specific computer when the student is finished the course and reinstall it on an incoming students computer? Would Creative Cloud be a better option? I have read a lot of the information on this website and am still unclear as to which would be the best option for us. Definitely Creative Cloud allows each license to be installed on up to two computers (e.g., work/school plus home), including both Windows and Mac OS at the same time. And definitely Creative Cloud for Teams allows for flexibly reassigning a license to another primary user/login at any time, whereas the standard Creative Cloud for Individuals does not. Generally Adobe’s group licensing programs are based on purchasing a certain number of seats for use within your organization – although for education (only) they do also offer a flexible concurrent or floating licensing plan. There may also be the possibility of getting perpetual CS6 licenses instead of CC memberships if that’s what you prefer. All in all, your best bet is to contact Adobe directly and find out what they offer for you in your region. Good luck, and feel free to stop back anytime if there’s anything we can help with! Hi, please provide a quote for Adobe CS6 32-bit. This will be for K-12 public schools. I am interested in 25 to 45 licenses. However, customers can still purchase individual copies of CS6 direct from Adobe – either for home/commercial use or for student/teacher. Or instead of CS6, you can check out the newer Creative Cloud for Teams (which is also available for education, and includes free upgrades). Essentially, CS6 is over two years old now and Adobe has moved all new volume licensing to Creative Cloud, with the recent CC 2014 release. I have been looking for photoshop cs6 and other cs6 products as a volume license with commercial & international versions because I have a big request from Korea. Could you help me out to get these products please? See the previous comment just above yours for more details on this. Sorry Rosmery, Adobe actually ceased selling CS6 on their website last year. The reason is because it’s nearly 4 years old now and increasingly unsupported; they stopped releasing updates for it some time ago as the newer CC quickly grew and took over. With the CS6 software EOL and end of support, there are no updates, no bug fixes, and no guarantees it will run on future operating systems. So at this point we’ve stopped recommending it as a good or viable option going forward. 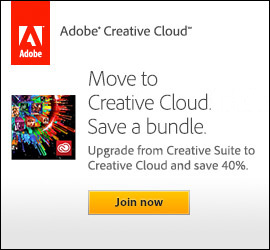 Now, to use Adobe’s desktop tools you just sign up for a Creative Cloud subscription instead. There are various different plans & bundles available, offered either monthly or annually. Subscribers can access multiple versions and can use either CS6 or CC as desired.